A friend of mine just asked what are the Zürich must do or what she should absolutely experience over a short 12 hour stay. I now realise that only one of the 6 thing I recommend has been written about on my blog. So I’m going to fix that and tell it all now! Here’s a map. I’m the map I’m the map I’m the map! As you can see it’s all within reasonable distance from the city center. 30 min max by train for the furthest places. 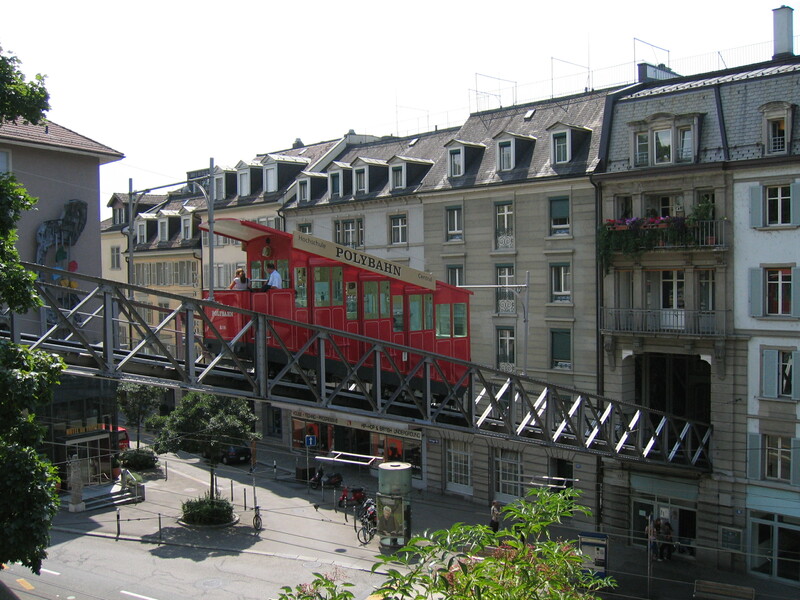 Zurich is very compact and easy to get around. I was particularly impressed with their transport system: always on time, well connected, clean and not overcrowded. Go and explore! Yeah see the scale: the historical city center is like 1 square km! Why I loved it so much? Location location location: Quai 61 is on the lake of Zurich, you see the fountain, stand up paddle board riders, boats, the opposite bank, the Alps. It’s just stunning. The decor of the restaurant is Hamptons style and the menu is affordable with great lunch options. There is plenty of natural light, the service is great, I went twice and felt really good there. I wasn’t able to take a picture myself so here’s one from Timeout magazine. Magic. 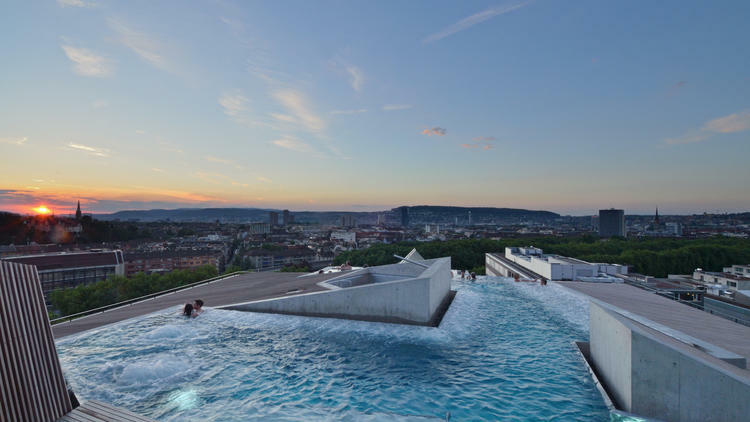 Thermabad Zurich used the be an old brewery now turned into a bathing sanctuary. Go for the full package where they provide a bathrobe and you experience the 10 steps of the Roman Irish bath. The 20 minute scrub is Do It Yourself with automatic showers. Don’t fall for that! Spend time in the dark shallow bath with underwater music. So relaxing! 3. 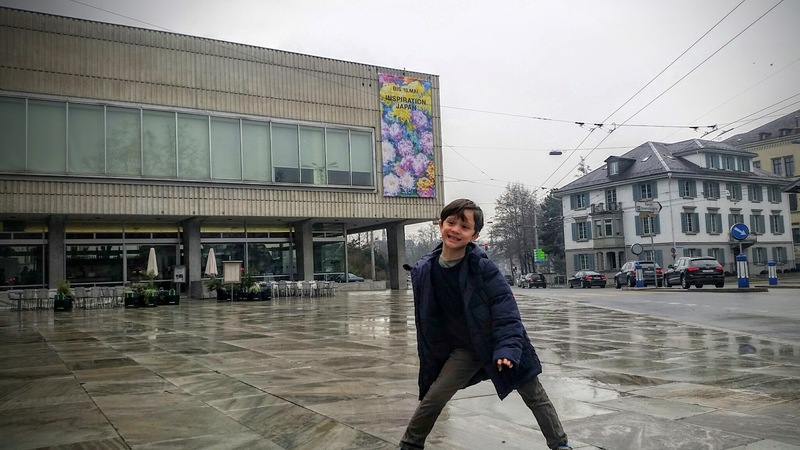 Kunsthaus Museum – Kids friendly! Last year they put together an exhibition about the Japanese influence on Impressionists painters like Van Gogh, Monet, Cezanne… it was so good I went twice as it was really relevant to our couple’s personal story with my husband: we started dating when he was working in Tokyo, we are both French and lived in Zürich when the exhibition was up. The museum is kids friendly with activities to help them follow the threat, i.e. drawing the famous Mount Fuji by Hokusai and colouring flowers from Japanese vases. TIPS: There are lockers so unlike at the Louvres you don’t need to carry your winter jacket with you everywhere. Check the Kunsthaus’s website for the current exhibition. However, their permanent collection includes all the most famous painters like Rembrandt, Rubens, Géricault, Manet and even Norwegian Munch! 4. Stroll along the Limmatquai river – Kids friendly! That’s were we took all our visitors: down to Limmatquai along the oldest narrowest cobblestone streets of the city, the river, bridges with a view on the lake, churches, guild houses, shops and restaurants. Fraumunster church: You can see famous stained glass windows painted by Marc Chagall and representing the various sections of the Bible. Boat tour of Zürich on the Limmat river. I haven’t done it but I wish I had. It’s open from April to October. Cafe Schobert: stop for a hot chocolate and be overwhelmed by the rococo baroque decoration style! SECRET TREAT: you can indulge in a free one hour personal styling with Parisian Fashion designer Caroline Bodmer de Charentenay. Her showroom is on Rennweg, one of the iconic old streets of Zürich surrounded by the best fashion brands. Her brand AnnetLine is all about romantic and feminine style made in France or Italie from best quality fabric like silk or wool. I can’t guarantee you won’t fall in love with one of her pieces like I did with her navy cape wollen cardigan with gold leather patches or her very flattering T shirts. 5. 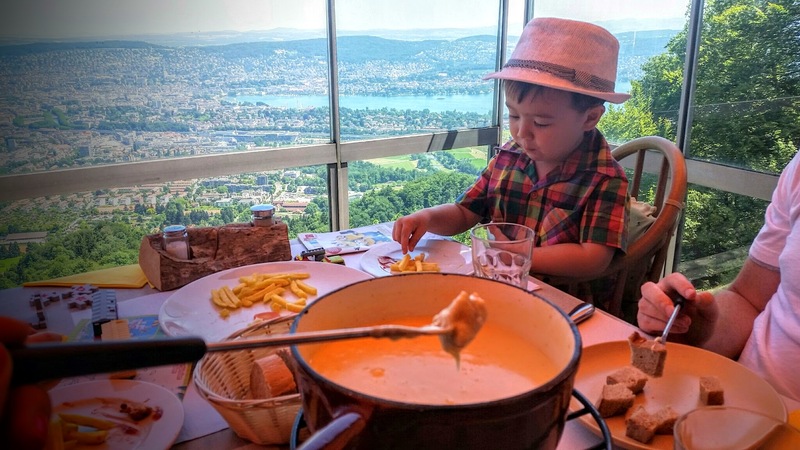 The view from Uetliberg mountain and cheese fondue – Kids friendly! Take the train from the city and within 30min you are at the top of the Uetliberg mountain. 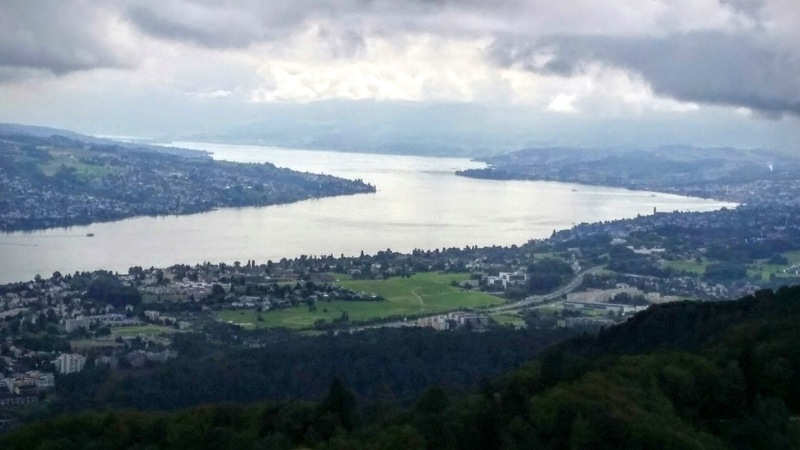 Keep walking up for 10 minutes and that’s the view you can enjoy: beautiful Switzerland with the Alps, Zurich Lake, small traditional houses, forest, fields, so much nature! Even my sons aged 3 and 6 last year could climb on top of the sight seeing platform. On your way back down, aim for UTO Staffel restaurant. You will experience cheese fondue with the view. It was so amazing that I still decided to take my best friend Beverly and her family there in summer on quite a hot day. Lucky there was a very nice breeze on the terrasse and we had an amazing time. 6. Dolderbahn funiclar up to the Dolder Grand hotel – Kids friendly! The ride is quite steep and at the top you arrive on a lush mountain with fresh air and one of the landmarks of Zürich: the Dolder Grand Hotel. So iconic that we had lunch last year to celebrate my husband’s birthday. Below is a picture of the Polybahn, thank you Dominik and Raffaela for spotting the error! Quite fun to see this cable car going through old buildings. I’ts taking you to ETH, the prestigious university where Albert Einstein taught between 1912 and 1914. I wrote this thinking about the current season and weather, winter. In summer I’d go all about the Lake with boat tours, going to the badi and renting pedal boats on the lake. 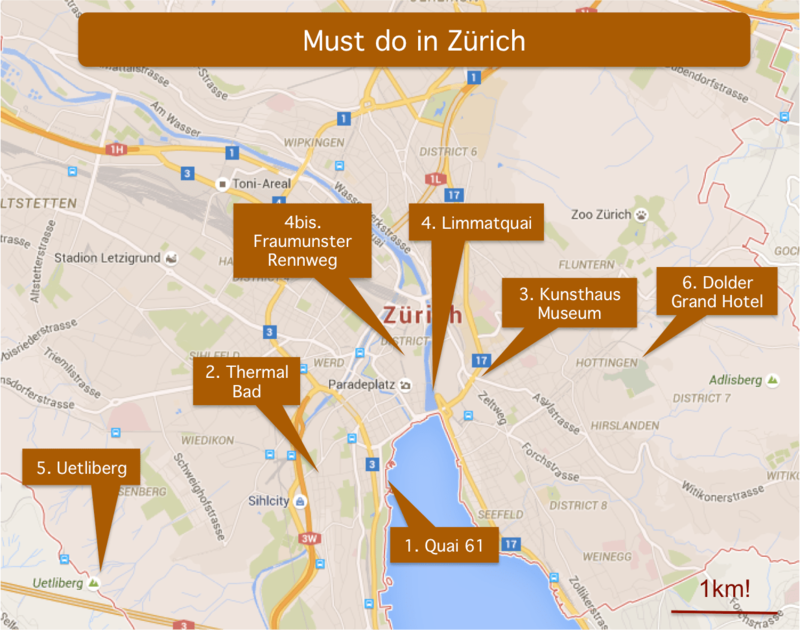 For those who know Zürich, what else would you recommend to short term visitors in winter? Oberiberg, a very child friendly ski resort near Zurich Parenting in Zurich, Switzerland My take on Groupon Deals in Zürich Must do in Oslo: a trip to Ikea! in Uetliberg there is a path with astronomic that explain the solar system. and the picture of the dolderbahn is wrong. That is the polybahn. The dolderbahn starts in Romerhof square. Wenn you are there you can go to the ice skating. Thanks for the info and spotting the mistake! Have a great day Raffaella! Thanks for spotting that, it’s been fixed. Yes the Solar system concept at Uetliberg is pretty cool!